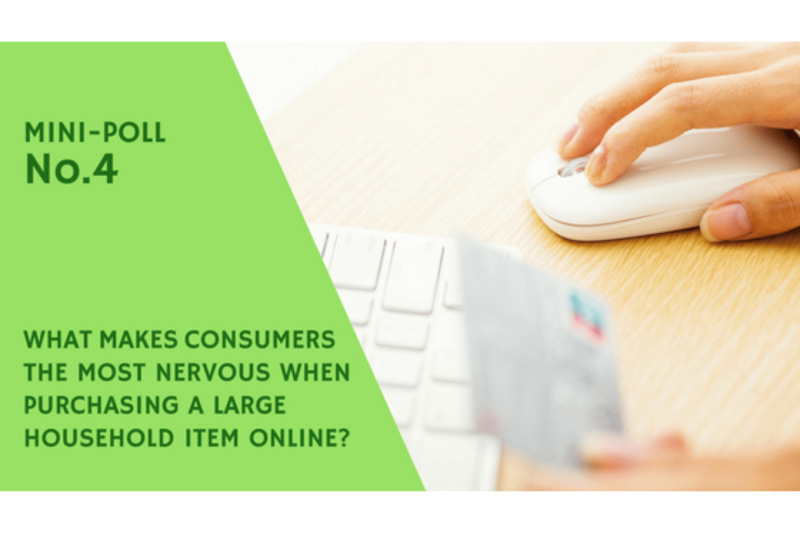 What makes consumers the most nervous when purchasing a large household item online? 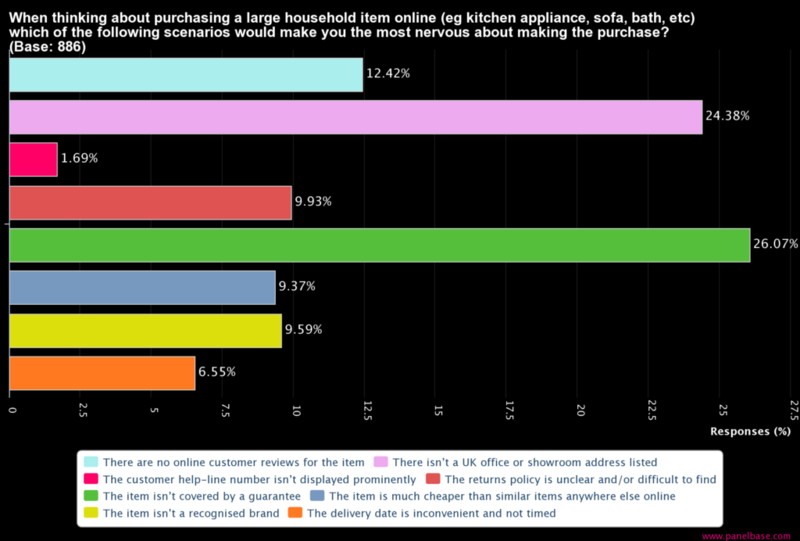 Our fourth mini-poll asked 886 UK consumers what made them the most nervous when making an online purchase of a large household item such as a kitchen appliance, sofa or bath. The results below show that the item not being covered by a guarantee is what makes consumers the most nervous about this type of purchase, closely followed by not being able to find the address of a UK office or showroom.